This Sunbrella fabric upholstery family room facelift journey began when our daughter was graduating from high school. Out of town guests were coming to visit and we would be entertaining. Seating was minimal in our family room, so what to do? Off to do some thrift store shopping for some chairs. We purchased the two chairs and the ottoman with pink upholstery from the Floridatown Station, a locally owned antique mall in Pace, FL. I loved the shapes of these pieces, but the upholstery fabric would not work for our living room. So, we upholstered the two chairs and the pink ottoman in Sunbrella’s Sailcloth. 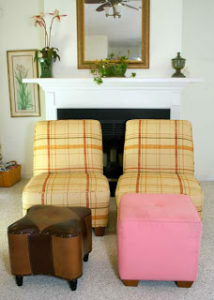 I slipcovered the odd shaped ottoman with the pleated skirt in the same fabric to cover its legs since it did not match. The fabric is perfect for a lively family since it can be cleaned with just a dry towel or for bigger spills you can use damp cloth and wipe off the spill. You can pour coffee on this fabric and it will roll right off leaving the fabric spotless. I have made a quick video to demonstrate the amazing ease of cleaning Sunberlla fabric. Please subscribe and get all our posts delivered to your inbox. The photo is not the best, but you can see the ugly fabrics and that the pink ottoman is not just dirty, but too tall for the chairs. After removing the pink fabric from the ottoman I also replaced the foam with a shorter piece of high quailty foam. We needed the ottoman to be shorter so it could be enjoyed with the chairs. The Before and After photos show the remarkable transformation. We started with four mismatched pieces of furniture and ended up with this very clean and classic look. The back cushions are fun buffalo check pillows that make for an excellent sitting experience. 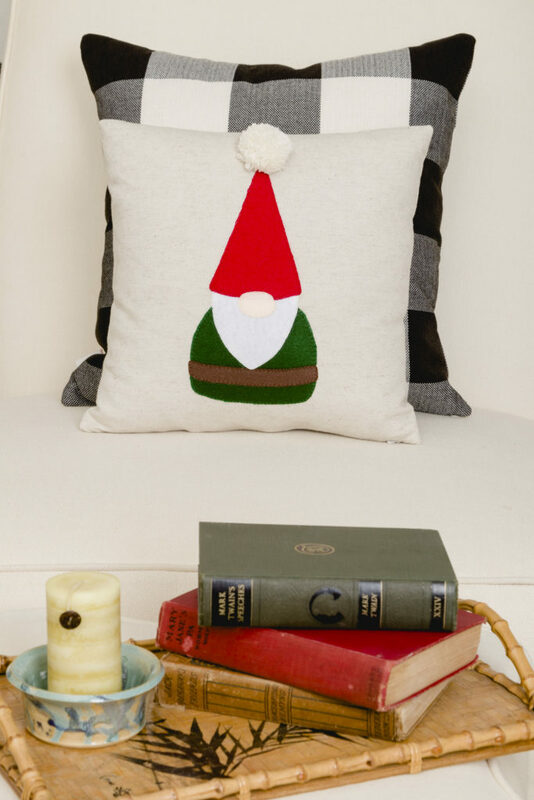 Also, added these cute Gnome pillows I made from our applique pattern you can find that post HERE. Notice the fun COFFEE sign on the vintage tray. If you would like to make one too the how-to is HERE. 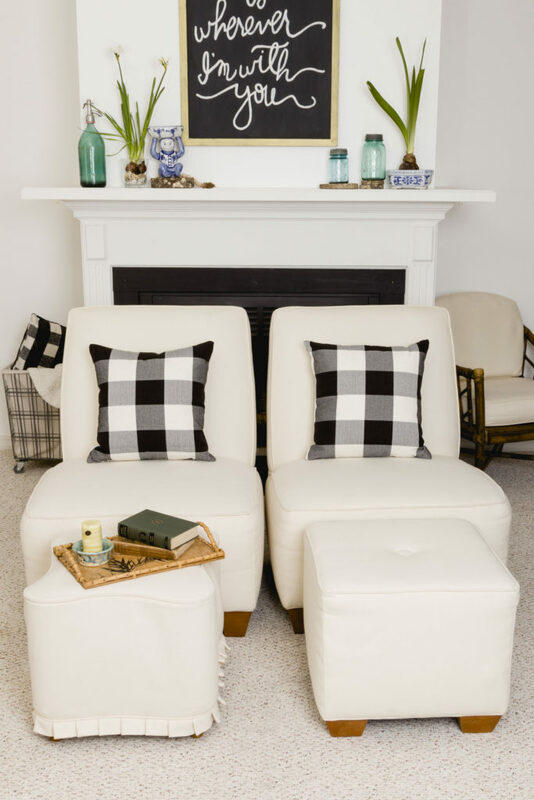 Since these chairs and ottomans are covered in a neutral off-white fabric I can easily change the look of the room with pillows and throws. 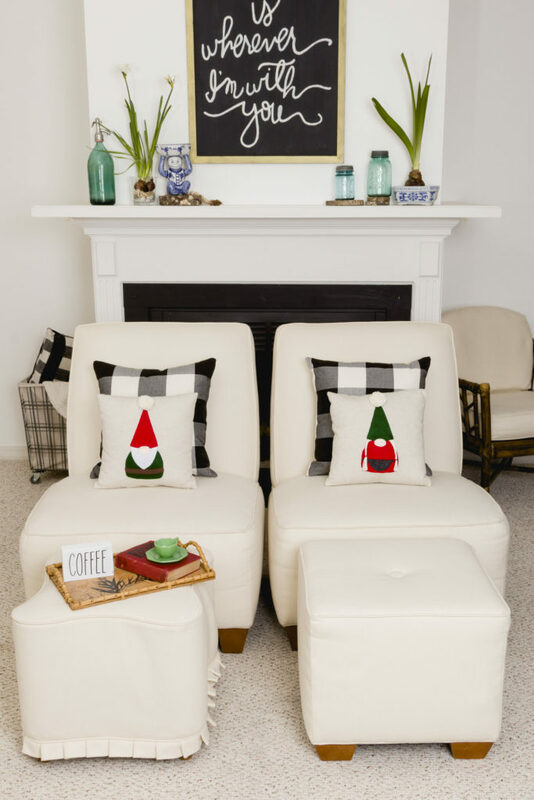 It has been so much fun to decorate for every season with these “new” chairs and ottomans. In the photo below the summer look is a quick change of pillows. This upholstery-weight woven geometric fabric has a wonderful hand and is a dream to work with. It is one of the many fabrics that we carry. 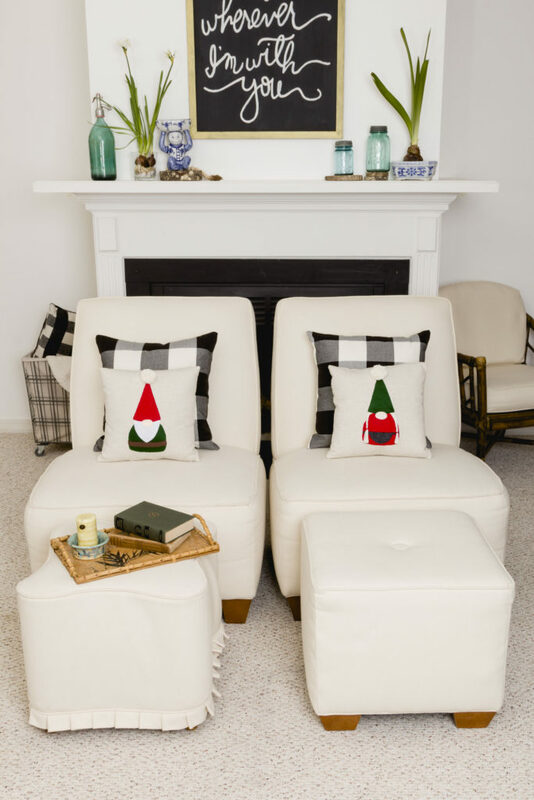 With the simple addition of pillows you can add a whole lot of “bang for your buck” and change the look and feel of your space by just zipping off a pillow cover and replacing with a different one to match the season. The bright color adds a cheery depth to this grouping. The whimsical shape of the ottoman and the pleated skirt at the bottom of the slipcover add much visual interest to the room. We are now ready to entertain our guests and enjoy some family time on our “new” furniture. 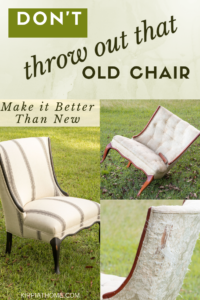 Learn how to upholster your furniture and a new skill at the same time. 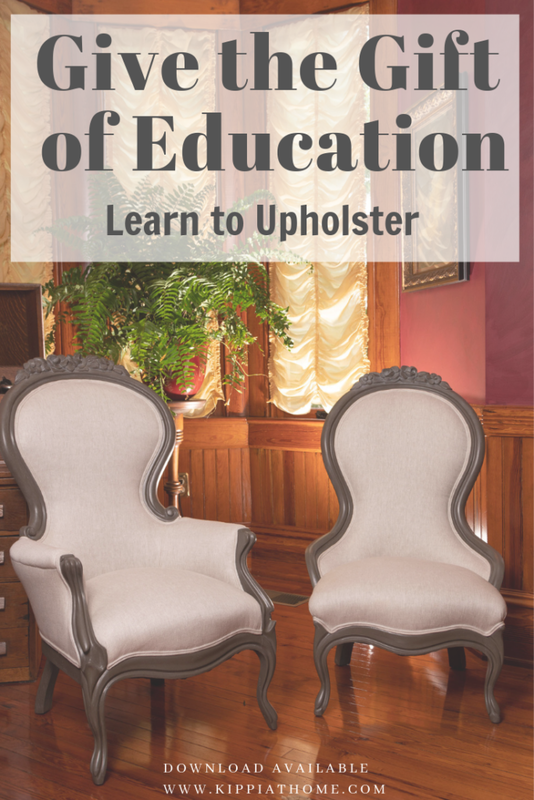 Checkout our Upholstery 101 educational video HERE. And get started today! Read my earlier post about the making of the video HERE. 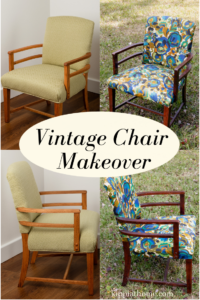 Note: the Sunbrella fabric used in this makeover is available HERE. Thank you so much for stopping by. 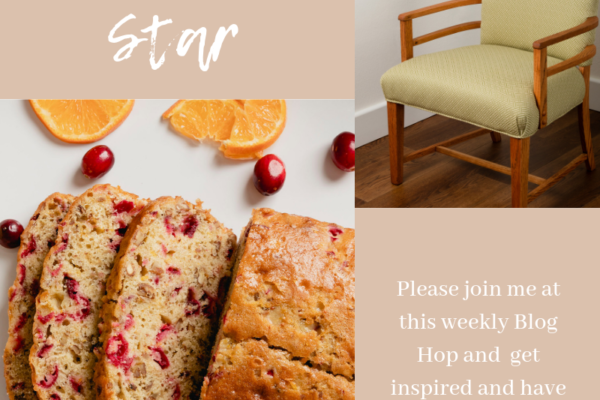 Are you working on any decorating projects? Please say hello in the comments below I love keeping up with old friends and meeting new ones too. They turned out beautiful. You give great tips. 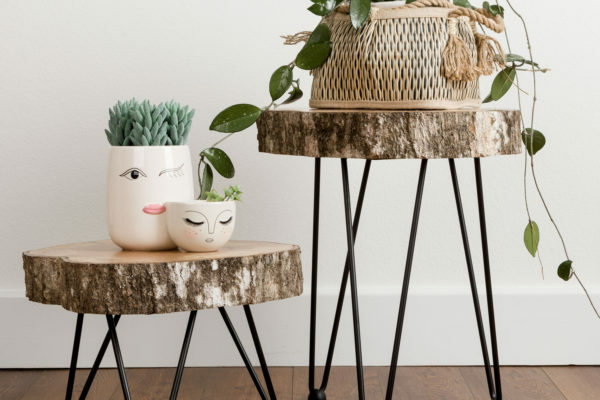 I’m going to try out some of what you advice in my next diy project.